This course consists of four sections, each addressing what a buyer`s representative needs to know in order to succeed at representing transferees. 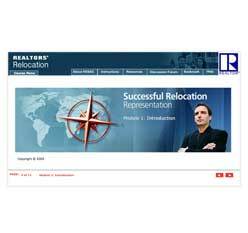 Section One - How Relocation Works: Describe how the relocation business has evolved to its current state; Explain the relocation process in third-party, corporate/broker, and transferee/buyer`s rep transactions; Identify the roles and expectations of parties in a relocation transaction; Describe compensation methods. Section Two - Building Relocation Relationships: Outline basic legal responsibilities in representing relocation clients; Identify the relocation requirements of corporate transferees; Identify the relocation requirements of relocation companies and corporations; Identify ways of developing effective relationships with transferees, relocation companies and corporations. Section Three - Providing Superior Service: Prepare to represent a transferee in a relocation; Identify a transferee`s relocation needs; Orient a transferee to a new community; Describe a basic method of locating a new home for a transferee; Assist a transferee in completing a relocation. Section Four - Developing a Marketing Strategy: Assess relocation representation opportunities; Identify ways to market relocation services; Develop a personalized relocation marketing plan.